Its been a couple of weeks and I’m back in icy cold Toronto but I still reminisce about the warm days in Tarpon Springs, Florida like it was just yesterday! This was my first trip to the gulf side of Florida and if you’re at all like me, my expectations of Tarpon Springs were pretty low. My reason for this vacation was to attend a dragonboat training camp and boy, not only did I have a blast paddling every day out in the the salt water but Tarpon Springs completely blew me away with its beauty and small-town feel. Because of its location, fish and seafood is in abundance and dominates restaurant menus. 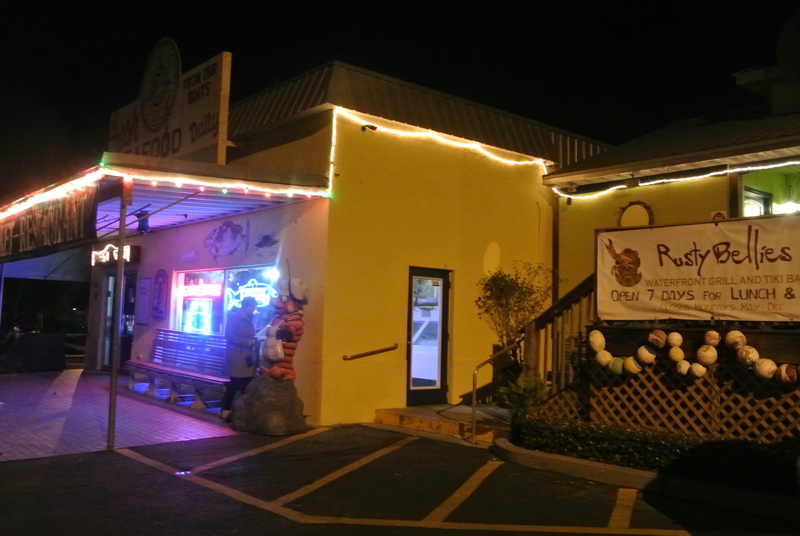 Our first restaurant we hit was a place called Rusty Bellies – a place recommended by my fellow paddler I. 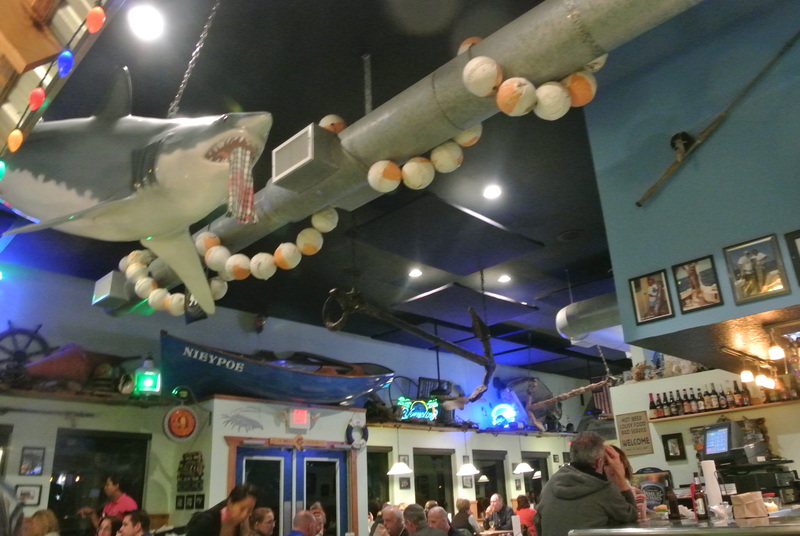 What I love about this place is that they own their own fishing boats that supply both their restaurant and their fish store that’s attached, so you know its fresh! 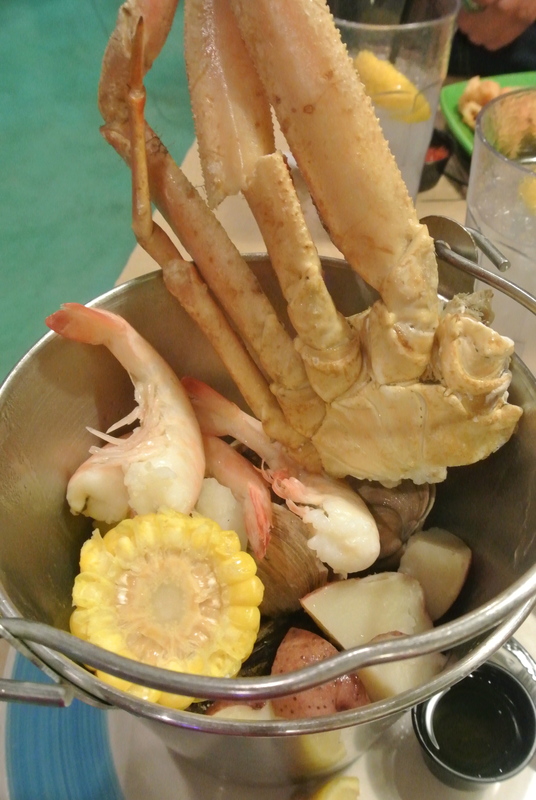 The specialty here – Rusty’s Pot Belly, a steel bucket full of steamed shrimp, oysters, clams, mussels, snow crab, corn and potatoes! I dug in and it was messy but let me know tell you, it was worth it. 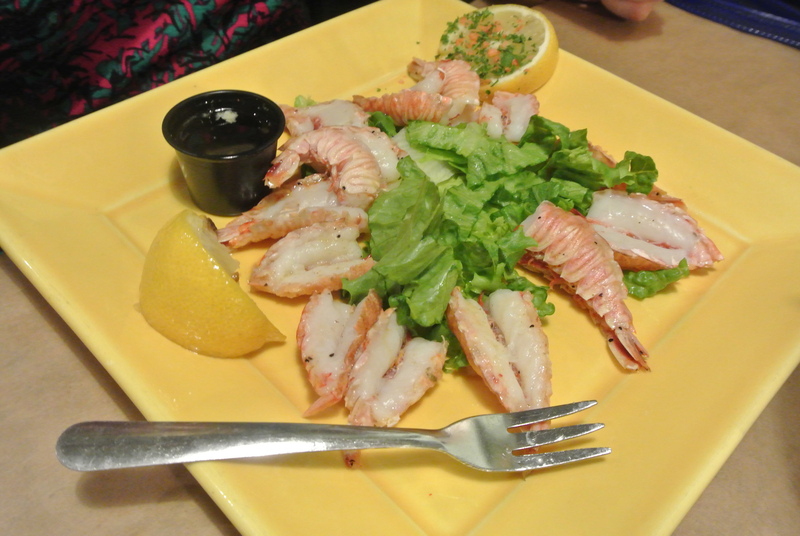 It wasn’t fancy and it wasn’t complicated – just straight up fresh seafood! Can’t wait to go back next year! 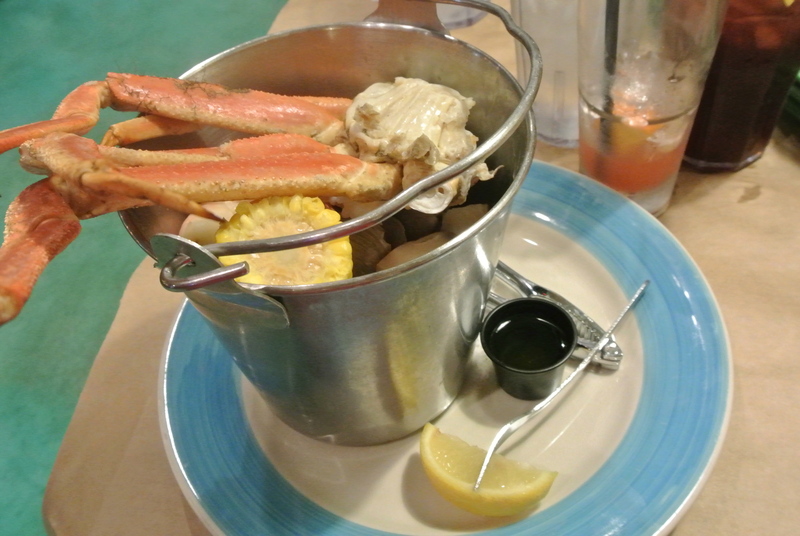 Rusty’s Pot Belly – a pail of steamed seafood and melted butter for dipping! Steamed deliciousness! Look how large the shrimp and snow crab legs are! Rusty Bellies’ storefront and restaurant. Appetizer – Hook, Line and Sinker. 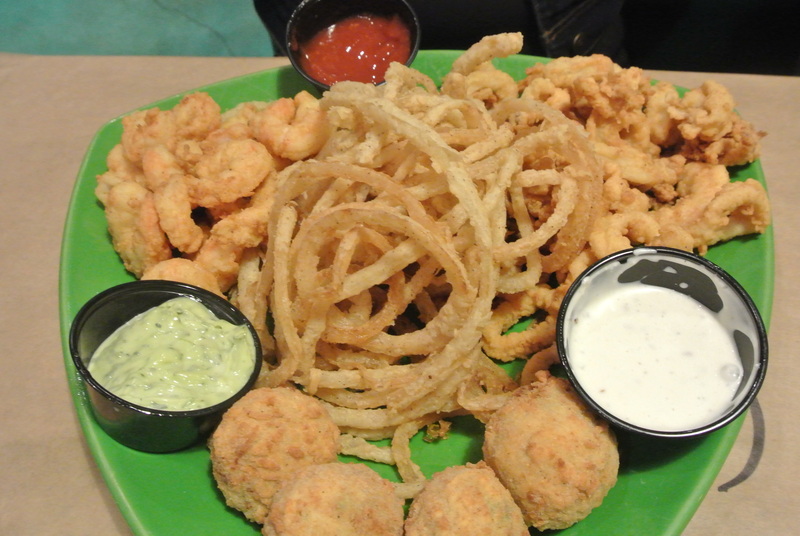 Fried Shrimp, crab fritters, calamari and onion strings. 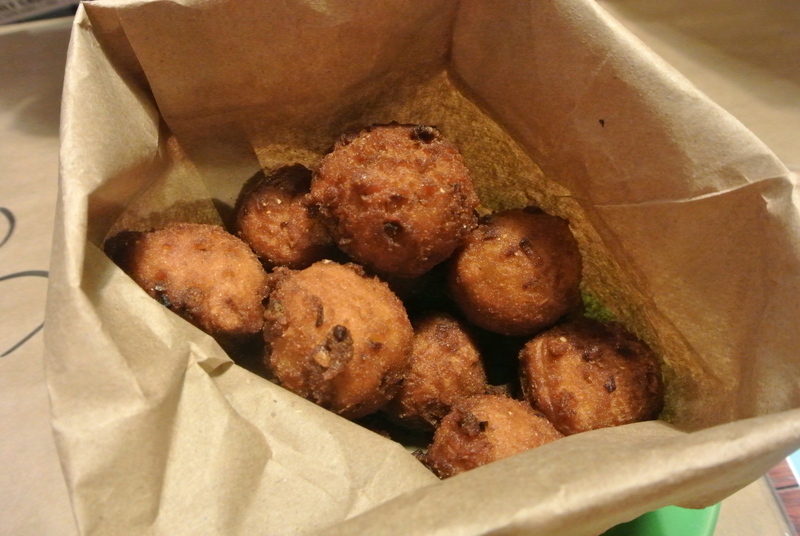 Homemade Hushpuppies – never had these before and they were to dye for! Little bits of savoury fried goodness!